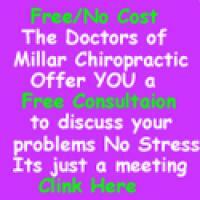 At Millar Chiropractic Clinics the number one thing we treat is Low Back Pain. We specialize in Low Back Pain with or without radiating pain into the legs and/or feet. All of our Doctors use the Millar Method of low back pain diagnosis and treatment created by Dr. Greg Millar DC CCEP and the Doctors of UAB Dept of Neurosurgery in the years they practiced together at Millar Chiropractic Clinics. Our Doctors use many chiropractic techniques both manual and instrument when treating Low Back Pain. We like to say, our toolbox has many tools. Don't use a hammer when you need a screwdriver. Same with low back problems. The right tool or technique makes all the difference. All our Doctors also use the Millar Facet Table and the Millar Facet Protocol for treating Degenerative Facet Disease. We use Cox Flexion Distraction for treating Degenerative Disc Disease. We use Activator and Thompson Terminal Point technique for treating Low Back Pain. Dr Millar pioneered Decompression Traction therapy in Alabama bringing the first Vax-D decompression table to Alabama. In 2007, he added Low Level Laser to the mix. In 2012 he added stronger Class IV Lasers. (Class IV lasers are the strongest lasers approved by the FDA). 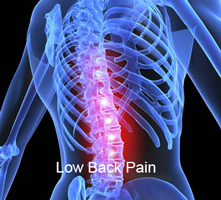 Eighty percent of people suffer from low back pain at some point in their lives. Back pain and in particular low back pain is the second most common reason for visits to the doctor's office, outnumbered only by upper-respiratory infections. In fact, it is estimated that low back pain affects more than half of the adult population each year and more than 10% of all people experience frequent bouts of lower back pain. The susceptibility of the low back to injury and pain is due to the fact that the low back is a very unstable part of the spine. Unlike the thoracic spine, which is supported and stabilized by the rib cage. This instability allows us to have a great deal of motion or mobility to touch our toes, tie our shoes or pick something up from the ground, but at the cost of increased risk of injury. As long as it is healthy and functioning correctly, the low back can withstand tremendous forces without injury. Professional powerlifters can pick up several hundred pounds off the floor without injuring their low back. However, if the low back is strained or sprained or has weakened supporting muscles, ligaments or tendons, something as simple as taking a bag of groceries out of the trunk of their car, picking something up off the floor, or even simply bending down can cause a low back pain and "back attack". And this low back pain can be intense. There are many different conditions that can result in low back pain, including: pulls, strains and sprains, sprained ligaments, strained muscles, herniated, bulging and prolapsed ruptured disks, trigger points and inflamed joints. While sports injuries or accidents can lead to injury and pain, sometimes even the simplest movements, like picking up a pencil from the floor, can have painful results. We often call this "Back Attack". In addition, conditions such as arthritis, poor posture, obesity, psychological stress and even kidney stones, kidney infections, blood clots, or bone loss can lead to pain. Whenever there is a disruption in the normal movement or position of the vertebrae, the result is pain and inflammation, a researched fact. In the lumbar spine (low back), these often occur at the transition between the lumbar spine and the sacrum or between the lumbar spine and the thoracic spine. Subluxations can lead to debilitating low back pain. Fortunately, subluxations are treatable and often times a significant reduction in pain is experienced almost immediately after treatment. The term Subluxation was often debated among chiropractors and medical doctors. However the US Federal Government put an end to the debate when Medicare/CMS only allows Chiropractors to treat and be paid for the treatment of Subluxations. Contrary to popular belief, a herniated disc does not automatically mean that you are going to suffer from low back pain. In fact, one study found that almost one third of all adults had at least one bulging or herniated disc, even though they did not suffer any back pain at all. On the other hand, bulging and herniated discs can be a source of intense and debilitating pain that frequently radiates to other areas of the body like the arms or legs. Unfortunately, once a disc herniates, they rarely, if ever, completely heal. We like to say they're not curable but very treatable. Pain relief often includes decompression traction and other Chiropractic techniques. 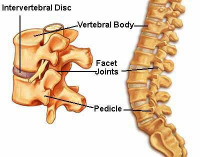 Further deterioration of the disc can often be avoided through regular ongoing chiropractic care. This is commonly the source of low back pain among the weekend warriors. You know, the type who have very little physical activity during the week, but once the weekend arrives, they push themselves way too much. By the end of the weekend, they are lying flat on their back counting down the hours before they can get in to see their chiropractor. 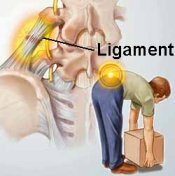 Overworking the muscles or ligaments of the low back can lead to small tears in the tissues, which then become painful, swollen and tight. Until you can get in to see us on Monday, try Ice for 15 minutes at a time off and on. Simply take ice and put it into a baggy and put the bag directly on the low back for 15 minutes. 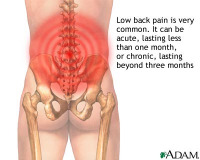 Chiropractic treatment for low back pain is usually pretty straight forward. Most commonly, it's simply a matter of adjusting the lower lumbar vertebrae and pelvis to re-establish normal motion and position of your bones and joints. Chiropractic for the low back has been repeatedly shown to be the most effective treatment for low back pain. In fact, several major studies have shown that chiropractic care is more effective, cheaper and has better long-term outcomes than any other treatment. This makes sense because chiropractic care is the only method of treatment that serves to re-establish normal vertebral motion and position in the spine. All other treatments, such as muscle relaxants, pain killers and bed rest, only serve to decrease the symptoms of the problem and do not correct the problem itself. 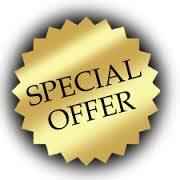 We specialize in Low Back Pain treatment. We are proud to be on the forefront bringing new "State of the Art" low back treatment technologies to North Alabama. FDA approved technologies like Decompression Traction, Laser, Disc Pump, Add to that our years of experience, and you have a winning solution to your lower back pain. 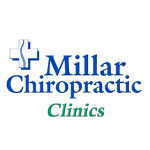 Over the years we have successfully treated thousands of your friends and neighbors with low back pain. What do we do? First, we take a thorough history of your low back pain, (you know...when it started, when is it better or worse, how many episodes). Second, we do a complete physical examination. As we are a proud member of the UAB Dept of Neurosurgery Chiropractic Care Team, we do the low back exam done at UAB Dept of Neurosurgery. This includes orthopedic test, neurological test, range of motion test, sensory test, muscle test, and palpation test (touch the low back). You can't do this from across the room. In fact many of our patients tell us that they have been to many doctors in the past for their low back; and, we do the most thorough low back examination they have ever had. Third, we order what ever x-rays or advanced imaging is necessary to aid in diagnosing and treating your problem. Often this includes looking at MRI's or X-Rays the patient already has completed. We next look at the necessity of any other testing such as Nerve conduction studies or other studies. Forth we sit down with the patient and go over what we have found in what is called a Report of Findings meeting. At that point we can make a good recommendation of what kind of treatment you need. We call that the "Care Plan". 3 How much is it going to cost...in other words how much does my insurance cover.